Published December 5, 2016 at 640 × 426 in Review pomegranate and gout information. 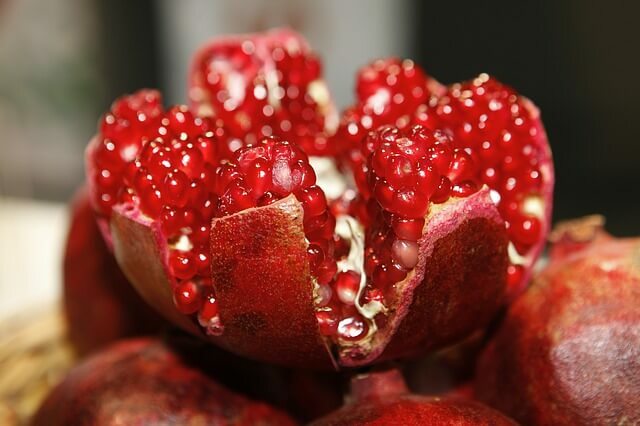 Pomegranate photo is the featured image for Review pomegranate and gout information. That discussion is for people who are interested in improving GoutPal facts about pomegranate and gout. Or, uric acid and pomegranate. Those are general facts that will help gout sufferers decide how much pomegranate to include in their gout diet. How much pomegranate do you eat? Do you eat pomegranate fruit, drink pomegranate juice, or a mix of both? Most importantly, describe any discussions about effects of pomegranate on gout, that you had with your doctor or nutritionist.